LOOKS Threading & Beauty Salon - A Downtown Newark Beauty Salon and Spa specializing in the best Threading, waxing, henna, facials, hair cuts, eyelash tinting, eyelash extensions, manicure, pedicure, eyebrow tinting, Brazilian waxing, and much more! Looks Threading & Beauty Salon in Newark was built on the idea that a beauty routine should be simple and inexpensive while producing gorgeous, quality results. We offer eyebrow threading — an ancient hair removal process that is fast, meticulous and minimally invasive — in a beautifully designed, yet sanitary space, where you can enjoy a relaxing reprieve from your daily routine and leave looking and feeling fabulous. Our expert threading professionals will leave your skin smooth and hair free, without breaking your bank. We also offer a full range of Aesthetic services like Waxing (including Brazilian Waxing), Facials, Eyelash extensions, Eyelash Tinting, Manicure, Pedicure, Henna Tattoo and Hair care. You can find complete list of services here. Whether you need your hair cut, up styled or are looking for a special hair treatment, Looks Threading & Beauty Salon will take care of you. We strive on continually re-inventing and re-educating ourselves on the latest industry trends backed by what we feel are the top product lines in the industry. Situated in Newark’s Downtown, Looks Threading & Beauty Salon serves as an urban spa retreat where you can de-stress, relax, and rejuvenate. Please stop by and let us pamper you! "I went into Looks Threading & Beauty Salon because I was tired of a lousy hair cut. I got the best hair cut I’ve ever had, for lot less and my hair is easier to manage too! I was able to go home, wash it and recreate the style!" "Threading is the best thing I’ve done in a long time. I was a little nervous in the beginning but the staff made it really easy. Best of all, my shape now looks great. I am so extremely thankful!" 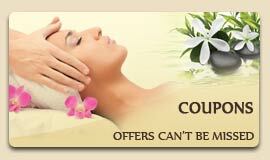 "I had a wonderful experience at looks Threading & Beauty Salon. I had gone there to get my hands and legs waxed. I was very happy to see that they never double dip and it was very less painful than the other salon I used to go. I’ve told all my coworkers and friends about how great my experience was. Words truly cannot explain how grateful and wonderful I feel and would definitely continue going here. Looking forward to my next appointment!" 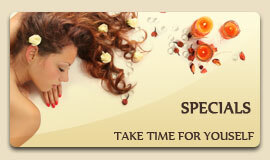 "Just wanted to let you know what a wonderful experience I had at looks Threading & Beauty Salon. From the minute I arrived to the moment I left, the visit was over exceptional! As I was walking up, the staff made me feel right at home. , I felt like I was among all my best girlfriends and treated like family. With only my verbal expression of “I want it like this, but not like that, thin, but not too thin, you know what I mean?” I’m impressed that she didn’t look at me like I had two heads! She completely understood the eyebrow shape I was trying to achieve, now and in the future. She made helpful suggestions and never made me feel like she was trying to “sell” me. I was at the salon for an extended period of time to complete all my services, but it was relaxing and went by so quickly. Without hesitation I scheduled my next appointment and am very much looking forward to returning. Thanks." "I just had my first appointment (Hairstyle), and I'd like to say that it is the BEST Hairstyle that I have ever had. The Staff was fun, stylish and even though I didn't schedule a cut, she told me I had to thin my hair in order for it to style well - so I did it and I loved it! I love the fact that she wanted me to walk out of there looking fabulous. Thanks for a great experience. "can't wait to come back!" "
"I had some great haircuts when I lived in Chicago but NO ONE has ever cut and styled my fine and thin hair better than the one I got at looks Threading & Beauty Salon." "I am very excited about the treatment and services given...She was dedicated, through & amazing. I will definitely comeback for a facial here... Thank you"
""I have been having my Eyebrows threaded regularly at Looks Threading & Beauty Salon and I am always delighted with the result. 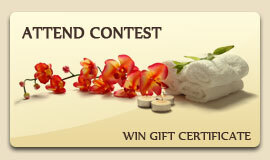 I’m so lucky to have found this great place – and they give fabulous Manicure & Pedicure too!!!"" "Thanks very much looks Threading & Beauty Salon. Great Quality Service. They really take their time on my manicure and pedicure. I also had one of their Mask Facial. That was one of the best facials I've ever had. I look forward to my next visit!" eyelash extensions, manicure, pedicure, eyebrow tinting, brazilian waxing, and much more in downtown Newark!